To start off, there is a short video of run 102a in Going in the Skiwelt from my trip to Soll last week. Going is at the far end of the ski area and tends to be forgotten or ignored by most people who visit the area. It is a very nice small area easily reached from Soll. Conditions last week were excellent and the entire area was really quite - not a lift queue in sight . 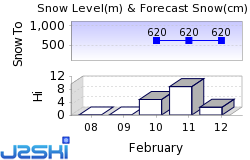 Conditions in the Skiwelt last week were excellent, though we did not have many sunny days. Visibility was pretty good with virtually no white-out and only a little flat light from time to time to time. I have been to Soll and the Skiwelt several times so well used to the area. Really enjoyed it this year yet again. The snow conditions meant everything was more fun. Even the home run down into Soll was enjoyable - this can often be a bite of a 'mare alternating between ice and slush and made more difficult with lots of tired skiers not really up to it. But not on this trip. The ski area is as good as I remembered it, with a very extensive 280kms claimed. It is all well connected and it is easy to reach any part of the area in a day. The runs are varied and will keep most skiers very happy. I don't do off-piste so cannot really comment on this but it would generally not be regarded as a particularly good off-piste resort. Lift system is generally very modern with several lifts renewed since I was there last - still some work to be done on lifts in Westendorf and Going but overall excellent with no queues all week. I always find it worthwhile heading to the outer reaches of resorts as you tend to find less people there. So it was on this trip where my highlights were probably my morning in Going (see video above) and to Westendorf. Going is a small area reached from Ellmau by possibly the oldest lift I have encountered - cute but slow. It is a 2-man covered chair. Once up top, there are a few options - a short but lovely red (102a) and blue (102) at the top. There are also a couple of great red runs down to the village of Going 100 & 100a. There were great fun - decent reds with virtually nobody on them. Westendorf is well worth the trip over. Ski down into Brixen, walk across the bridge and gondala straight to the top. The variants on 117 and 118 will entertain. We did run 120 down into Ki-West which links to the Kitzbuhel area but that was only ok. Red 11 back down to Brixen at the end of the day can be interesting - the top half is lovely but the lower section should probably be rated Black. It was ok when we were there last week but it can be challenging. Above Scheffua and Ellmau, there is an endless array of runs - some wide and open, others through the trees. It can get a little busy on some of the more central runs but there is usually more than enough space for everyone to find a line! Food on the mountain is usually good quality standard Austrian fare offered at very reasonable prices. Drinks are also reasonably priced. We stayed in the Hotel Tyrol in Soll. It is a little under a mile up to the lifts in the morning. We used the ski garage up at the gondola and took the skibus up in the morning and walked home in the evenings (occasionally with a stop or two along the way). This worked really well. The apres ski was great with lots of decent live music, including the famous Frog on the Tyne (great entertainers who really know to get a crowd going) and Cuckoo, an Irish band (though the fiddle player is actually from Argentina) playing a wide range of excellent music. The Salven Stadl is now gone and the Postwirt does not have much music anymore. The Mill pub in the Whiskey Muehle is now a very popular spot with lovely weissbeers for €4.20. The Moonlight and the Hexenalm up near the gondola are also worth a visit for a more typical "Austrian" apres-ski experience!. For me, Soll and the Skiwelt ticks a lot of boxes and, in my view, is a seriously underrated place, possibly because of the relatively limited off-piste options. Maybe people also have concerns about the low level of the resort but their piste maintenance is as good as it gets. It remains a hugely popular destination with the Brits and the Irish, probably because of the convenience of getting there - only about 90 minutes from either Munich or Salzburg. I agree that SkliWelt is under-rated. Had a great week in Ellmau, the only downside was that the valley runs became very slushy. Great review! We were there the week before you in unbelievable conditions. We have spent many years here, usually staying in Niederau and taking a taxi down toHopfgarten for 3-4 days. After 2 years in France we decided to return to the area. This time we were able to ski down to all villages except one of the runs in Westendorf. We also did a few that we hadn't done before including the Ki West run which I have to say I really enjoyed. The last few times we went to Going I found it quite challenging mainly because of the snow conditions, a lot of man made snow and it gets incredibly icy but this year there wasn't a hint of artificial snow, one of the reasons we have stayed away. Had a fantastic week and managed to cover a lot of miles. Can't wait to go back. I spend at least 2 weeks a year skiing in the Skiwelt, I must say last year was very good only to be topped by this February's trip. The thing with the Skiwelt is that most of the area runs off a north & south facing pistes. Every piste on the Brixental/Hopfgarten side is the sunny side, so best in the morning. Where as Söll,Schaffau,Ellmau & Going are more protected in the morning. The run down to the new lift at Neidling is a beaut, if you can do it before everyone gets there, as the sun gets to it,it moguls in the last 500m. This year I finally found the run 1 Black open all the way into Brixental, it a lovely wide not so challenging run until you get to the bottom, where you have to go through a gate & along an undulating path back to the gondola, exhausting in full sun. Even so worth doing once. I agree with skiing Going, up at the top there's a short run, but on a whiteout day 1st lift up there's load of fun to be had. Going to Westendorf skiing to Ki-West then skiing into Kitzbühel is great. As long as you've got the Kitz/Salz Alpen pass which costs about €40 extra for the week. You can always get the train back to Brixental or Hopfgarten (free), if in Ellmau, Schaffau or Söll you have to catch the train to St Johann(free) then get a Post bus, which you'll have to pay. Check the timetables! The most difficult thing about the Skiwelt is following the piste map, I find if you break it down into areas & just ski down their different runs you'll start building a picture up in your mind. Then you'll realise which mountain top connects to which, to get you back home. 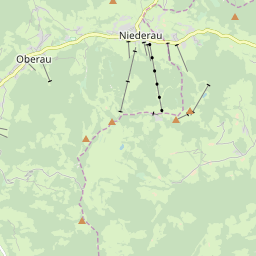 Ski Hire Shops in Söll, Niederau and Westendorf.